The oil price crisis has sparked a wave of cut backs and redundancies at the British oil giant BP. The price of Brent crude oil has fallen below $50 a barrel for the first time since May 2009 – after a steady decline over recent months. On Wednesday, Brent crude fell to $49.92 a barrel before climbing back over the $50 mark. Last month, BP announced a $1 billion restructuring program, which is expected to result in the loss of hundreds of jobs across its UK and US operations. The cuts are in response to falling crude prices and the company’s selling off of $40 billion worth of assets to pay for the US Gulf Deep Water Horizon spill of 2010. The majority of the budget will be spent on redundancy payments. Job cuts will affect oil exploration and production, refining and trading and administration. Oil firms are looking to cut headcounts and planned projects in order to survive in the current crisis. “We have already been working very hard over these past 18 months or so to right-size our organization as a result of completing more than $43 billion of divestments,” said BP Group chief executive Bob Dudley after the announcement. Fadel Gheit, analyst at New York brokerage Oppenheimer & Co, spoke to the Guardian about the consequences of halting operations. 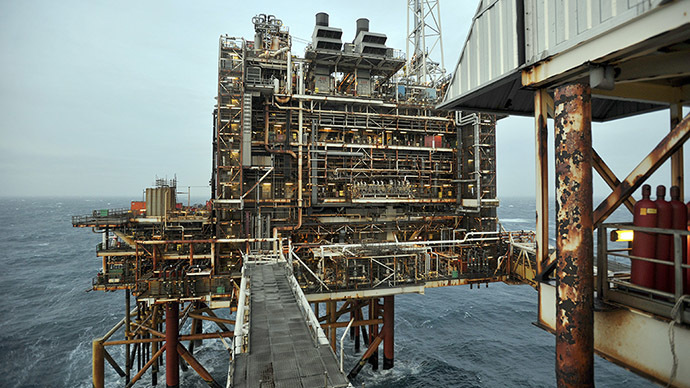 BP currently employs almost 84,000 people worldwide, including 15,000 in the UK. BP is not alone however – rival companies Shell, Chevron and ConocoPhilips announced redundancies in Scotland. The Russian state-owned oil giant Rosneft (in which BP owns a 19.75 percent stake) and Brazil’s Petrobras are also reportedly affected. In December, a report revealed the oil and gas sector could lose 35,000 jobs in the next five years. The study – Fuelling the Next Generation, commissioned by industry body Oil and Gas UK, industry skills and safety body Opito and the Department for Business, Innovation and Skills – also estimates 12,000 new workers will be needed for the UK sector. Meanwhile in the UK, critics argue that since oil has fallen in value by more than 50 percent since June last year, petrol prices should be down to around £1 per liter. Petrol currently costs an average of £1.11 a liter and diesel £1.18. Many claim prices should be around 10p lower.